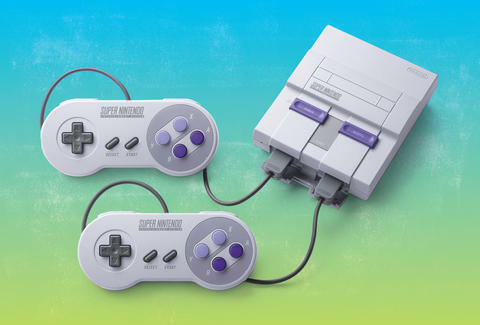 If you've been desperately holding out for a chance to get your hands on the perpetually sold out SNES Classic Edition -- Nintendo's all-in-one mini Super Nintendo console packed with 21 games -- this week may be your chance. That's because Walmart just announced that it'll be unleashing limited quantities of the wildly popular device at its retail price of $79.99 for three consecutive days starting Wednesday, November 15. Just ahead of Black Friday, the mega-retailer posted a banner on its website teasing that it will be accepting online orders for the SNES console on November 15, 16, and 17, beginning at 2pm EST sharp each day. It will also be limiting orders to one per customer to protect against opportunistic re-sellers. Odds are that Walmart's limited quantities will sell out in a matter of minutes each day, and in fact on Wednesday afternoon many would-be customers reported that consoles sold out mere moments after they went on sale, so you'd be wise to be ready to hit the designated product page a few minutes ahead of 2pm for your best chance to add one to your cart. Much like the NES Classic, which Nintendo woefully underestimated demand for last year, the SNES Classic has also proven to be a huge hit. In fact, it sold out so quickly upon its release earlier this fall that Nintendo promised to boost production ahead of the holidays and through 2018 to ensure everyone who wants one can actually get one without having to shell out upwards of $100 to some third party seller. So, if you didn't manage to lock in your SNES pre-order earlier this year, now may be the only chance to score one before the holidays.